Known for its colorful history and royal ambiance, Jaipur is lined with several tourist spots, which still hold a scenic painting of the medieval clamor. Since time immemorial, this incredible Indian city has been invaded and ruled by many dynasties, but it could not destroy the princely status of Jat rulers and Rajputs. Jaipur is widely famous for its architectural buildings, which include forts, Havelis, palaces and temples built by the Rajputs and the Jats. These large monuments date back to medieval era, few of which have been turned into heritage hotels and government edifices. Few have been kept as private homes of the royal families. 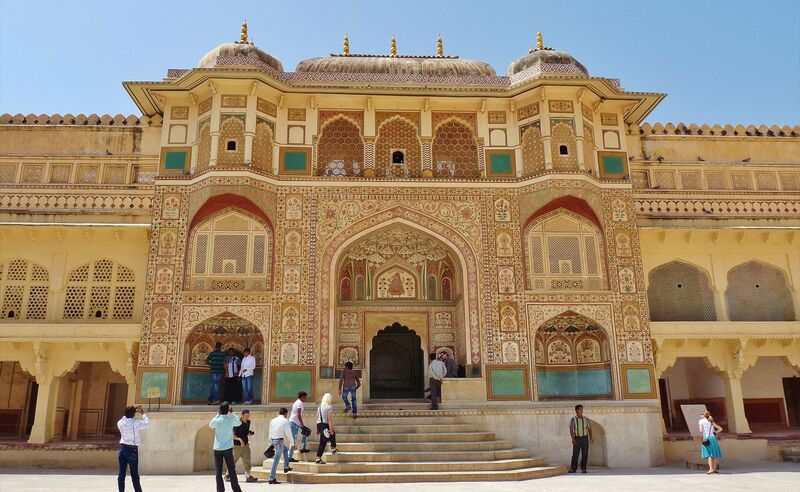 Here is a list of the best forts and palaces of Jaipur. Situated on the Aravalli ranges foot and overlooking the Lake Maota, the Amber Fort is famous for its craftsmanship which is laid on a four storey layout. The fort is one of the best places to visit in the city and is a great example of marble and red sandstone architecture which comprises of the Hall of Public Audience, the Hall of Private Audience, the Sheesh Mahal and the Sukh Niwas. Constructed in the early 16thcentury by King Man Singh I, this Fort within its architect holds a rich combination of Hindu elements, which include several gates, cobbled paths and also Sheela Mata Temple. To this day, the Fort arrests the attraction of thousands of travelers from all over the world. The major tourist attraction is the sound and light and show at Kesar Kyari within the Amber Fort each evening. Other mind-blogging view which you shouldn’t miss is the time the fort is bathing in honey-gold during sunset. Situated in the heart of the beautiful city of Jaipur is the Hawa Mahal, a prominent historical Mahal in India which reveals a rich cultural along with architectural heritage, a blend of Rajasthani way of architecture and Islamic Mughal architecture. Maharaja Sawai Pratap Singh was the one who constructed this Mahal in the 18th century. It is an excellent structure of pink and sandstone and famous for the high walls, which and several windows for the ladies of the royal household to watch street festivities which could not be seen from outside. 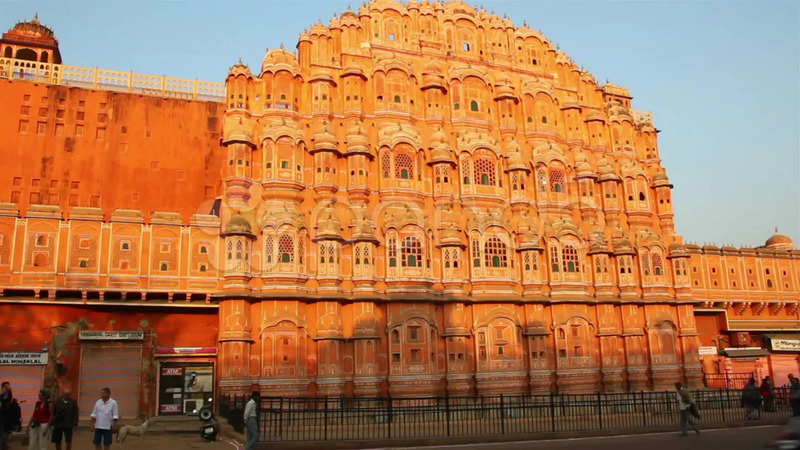 The Palace of Winds or the Hawa Mahal comprises of more than one thousand windows which are decorated with latticework, the rooms made with colorful marbles, the domed canopies, the fluted pillars of floral and lotus patterns, and one courtyard which now houses a museum. Often called the Victory Fort, it was constructed in 1726 to safeguard the Amber Fort lying on the tootsie of Cheel Ka Teela. The world’s biggest cannon on wheels is found at this fort. The monument is crafted with a network of passages comprising the Laxmi Vilas, Aram Mandir, etc. The museum in the fort exhibits antiques and armors of several Rajput clans. Apart from the rich history and culture, Jaipur tourism also owes a lot to the cuisine of the city.